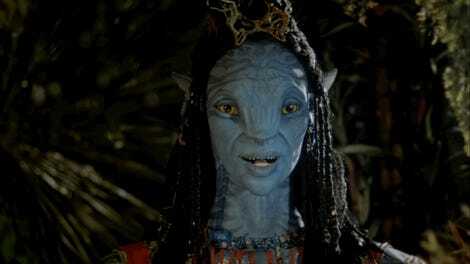 Though we’re still a few years away from seeing James Cameron’s Avatar back on the big screen, 2017 will start to ease the franchise back into popular culture. Most significantly, Pandora: The World of Avatar will be opening at Disney’s Animal Kingdom theme park. A new video takes fans behind the scenes. It’s our best look yet at some of the actual, physical structures that’ll make up the majority of the theme park. You get a taste of how things were created, what the rides will feel like, and how real it’ll feel at every turn. Check it out. For years, we’ve seen concept art depicting what Disney Imagineers were trying to accomplish with this state-of-the-art land and it certainly looks like they’ve achieved it. The content is especially impressive when you realize Disney is specifically being cheeky about what it does, and doesn’t reveal. This is just the tip of the floating mountain. Pandora: The World of Avatar opens at Disney’s Animal Kingdom in Orlando, Florida Summer 2017.